Management - American Patriot Oil and Gas, Inc.American Patriot Oil and Gas, Inc.
David Shaw is a Melbourne University law graduate, and is currently a practising solicitor with his own firm Campbell & Shaw Lawyers. David is a director on a number of private company boards and advisory boards. David has a long history with the Australian Football League (AFL) and was the Essendon Football Club President from 1992 to 2002. In addition, David was the former Commissioner of the AFL. David is a non-executive chairman of Ambassador Oil and Gas Limited. David is classified as an independent Director. Prior to his employment with the Company, Mr Clark was a Consultant to the Oil & Gas Industry. Mr Clark was employed as an Oil & Gas Analyst at Patersons Securities responsible for coverage of small-mid cap oil & gas companies and has previously worked as an Energy Analyst at Merrill Lynch covering large and medium cap energy companies; and more recently Shaw Stockbroking where he covered a basket of mid-cap oil and gas companies. 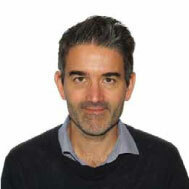 In addition to this, Mr Clark has over 10 years of experience in the Institutional banking and finance sector where he has held positions at Westpac Institutional Bank, GE Capital and ANZ Banking Group, responsible for the origination and execution of transactions across the Energy & Resources and Infrastructure client base. Mr Pirera is a graduate of Monash University where he obtained a Bachelor of Business (Accounting) and is a Fellow of the Certified Practising Accountants with more than 30 years of experience in public practice. 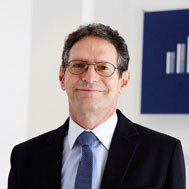 Mr Pirera has a wealth of experience in financial control and management and strategic planning having advised numerous public and private companies throughout his career. geology graduate of Southern Illinois University. Carrizo Oil and gas and BHP Billiton. been involved with multiple workover projects.